Who would have thought in 1982 that 30 years later a Russian TV channel would educate Americans about free market economics? But no matter how morally satisfying austerity may be, it’s the wrong answer. Hoover’s austere instincts worsened the Depression. Roosevelt’s postelection reversal helped, but he also prolonged the Depression by raising taxes and cutting spending in 1937. 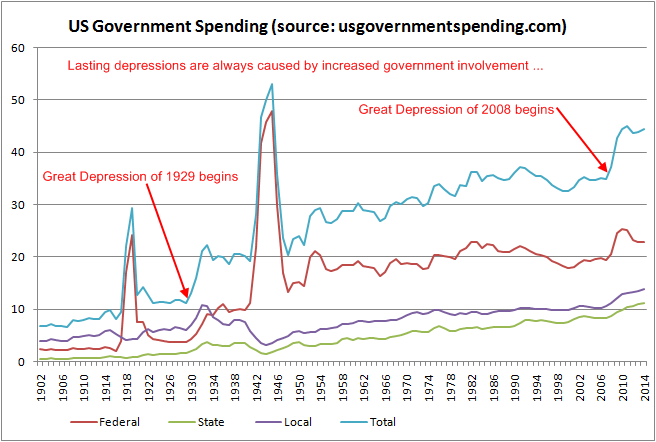 Only the giant stimulus program known as World War II finally ended the Depression. When the private sector is hesitant to spend, the government has to — or no one will. By the way, WWII killed about 500,000 Americans, about 700,000 were injured, many of them for the rest of their lives. That’s a total of around 1.2 million Americans, around 1% of the entire population either decimated or maimed. I wonder how those people and their loved ones feel the above mentioned author’s “stimulus program” has stimulated their lives? Also, the WWII years in general were not boom years for the average American at all! They were years of compulsory rationing, government crackdowns, price fixing, 90% taxes, etc. What did happen was that after the war the federal US government reduced its involvement by two thirds, lifted burdens upon its citizens, and allowed for a dynamic and vibrant market to spring up once more, precipitating what is commonly known as the post war boom with a constantly declining poverty rate until the Great Society programs put an end to that as well. Let’s say you are stranded on an island for a week and you climb trees every day to pick up and eat coconuts, and also set aside one coconut a day. Then over the course of the next week you don’t climb trees at all and just eat 7 out of 7 coconuts that you have stored up. So the next week you have none left. So now you need to do with fewer coconuts during that week (=austerity) and climb some trees again (=work) to get some more. Is there anything you can do about it other than consume less and work more (= generate savings) again? When you jump off a cliff, is the existence of gravity a recipe for disaster? Sure it is. Is there anything else you can do other than take the fall? When you are shot in the foot and the infection is about to creep up your leg, is that a recipe for disaster? You bet it is. Is there an option to keep your leg without amputating the foot? Unfortunately, in any of those cases, you’re SOL, my friend … and you need to accept reality in case you care to try and make the best of it. 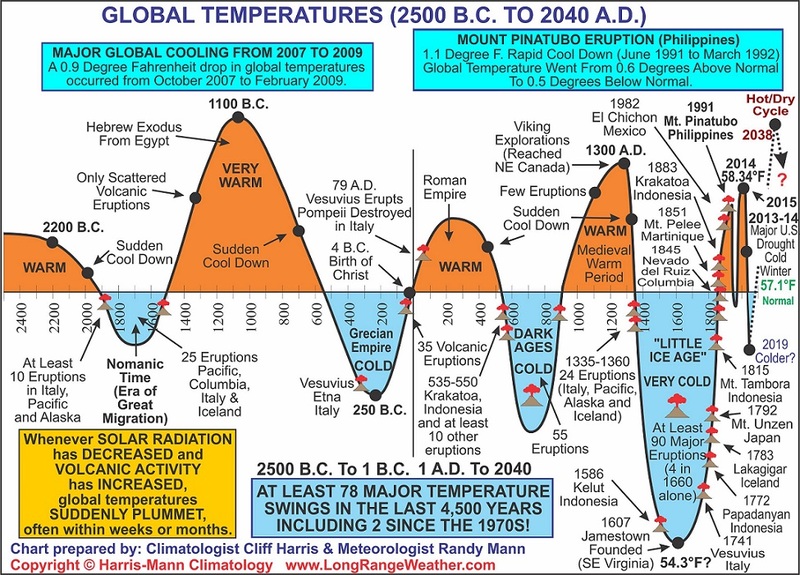 Author NimaPosted on December 26, 2010 December 26, 2010 Categories General EconomicsTags austerity, savings5 Comments on Is Austerity a “Recipe for Disaster”?